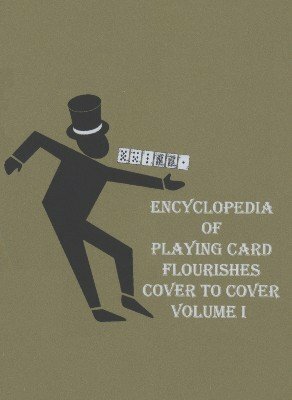 See the Flourishman perform every flourish in Chapters 1 through 3 of what is already considered the bible of fancy playing card manipulations: The Encyclopedia of Playing Card Flourishes . In addition to demonstrating the first 56 stunts in the already classic Encyclopedia, there are 56 performance tips, 3 basic chapter-specific routines, 3 additional routines, and more than 50 additional flourishes. There is even a section on how to prepare cards for flourishes plus outtakes and the kind of madness only the Flourishman could generate. See the famous L-Cut, 6-Packet Display Cut, and Fan Twirl in action. See a behind-the-back L-X Quad Cut sequence. See many original creations never before published, not even in the Encyclopedia. See more than 30 years of experience compressed into easy-to-understand advice that is guaranteed to enhance your artistic card manipulation.